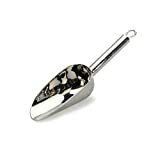 Great for scooping dry ingredients like flour and sugar, and even pet food, this high polished scoop from RSVP can tackle any task you can think of in the kitchen and around your home. 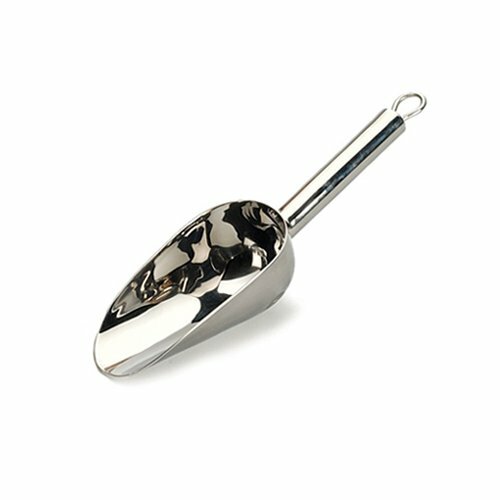 The scoop is constructed from a durable and easy to clean 18/8 stainless steel and has a handy hanging loop for storage. The scoop has a one cup capacity so you can be sure your always scooping the right portion. It is also designed for easy use with it's long, rounded handle.